The expedition ship Akademik Shokalskiy, carrying tourists and scientists aiming to repeat experiments made during Douglas Mawsons expedition, has become wedged in Antarctic sea ice. Three icebreakers are on the way to the site, approximately 1500 nautical miles south of Hobart at position -66.88 S,144.39 E.
The Australian Maritime Safety Authority is coordinating a search and rescue for the ship after a distress message was sent by satellite at 7.20am Australian time. According to reports there are no present dangers facing the passengers on the "Spirit of Mawson - Australasian Antarctic Expedition 2013-14’’. There are approximately 50 passengers and scientists on board carrying out many of the same experiments done during the expedition led by Douglas Mawson. Three icebreakers in nearby waters are on their way to help the vessel, although it was expected the fastest would take two days to reach the Akademik Shokalskiy. The ship will likely spend Christmas and Boxing Day stuck in the ice. The Russian-built ship, left New Zealand on December 9 and has about 50 passengers and 20 crew members. The voyage is part of a research expedition to commemorate the centenary of Douglas Mawson's exploration. The Australasian Antarctic Expedition leader, Chris Turney, wrote on Twitter: "Heavy ice. Beautiful; light wind. Only -1degC. All well. Merry Xmas everyone from AAE." NOTE TO NEWS REPORTERS: Expeditions Online is NOT the operator for this vessel but is an independent polar booking agent for this vessel and many other expedition ships. Captain Cook Cruises Fiji has released a sizzling summer sale, where passengers can cruise for seven nights but pay for only four. With prices starting from as low as $1560 per person for seven night Yasawa Island or Northern Discovery cruise everyone can now experience the beauty of the 'real' Fiji. On any seven night cruise passengers will discover the pristine beaches, turquoise waters and remote villages, churches and schools of the real and untouched Fiji, aboard the 120-passenger, fully accommodated MV Reef Endeavour cruise ship. The seven-night Yasawa Islands Cruise is the ultimate Yasawa Island experience and passengers will discover the beauty of the Southern and Northern Yasawa Island group. Passengers can swim at the picturesque Blue Lagoon and explore the amazing Caves of Sawa-I-Lau. They will also visit the islands of Tivua, Waya, Naviti, Viwa, and Yageta, where schools and churches will be visited and guests can take part in a traditional village sevusevu ceremony, Meke and Lovo feast. Captain Cook Cruises seven nights Four Cultures Discovery cruise , is the first ever Fiji cruise to circumnavigate Vana Levu, Fiji's second largest island and visits four distinctive Fijian cultures, Ellice Islanders (Polynesians), Banabans (Micronesia), Fijian and Indians. The cruise visits the islands of Kioa, Rabi, Druadrua, Labasa Town, Manava Cay and the world's third longest barrier reef, Kia Island. The Four Cultures Discovery Cruise has six scheduled departures in 2014 including; 07 January, 04 March, 06 May, 01 July, and 02 September. Captain Cook Cruises seven nights Colonial Fiji Discovery Cruise reveals the unique history, art and culture of the Northern Fiji Islands and allows passengers the ultimate experience of 'standing' on the International Dateline. 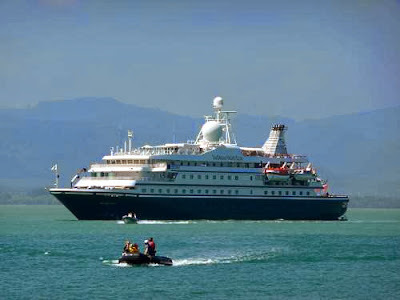 The cruise also visits the islands of Ovalau, Taveuni, Savusavu and Waiyevo. The Colonial Fiji Discovery Cruise has six scheduled 2014 departures including 01 April, 03 June, 05 August, 07 October and 02 December. The cruise 7 pay 4 deal is for sale until 31 March 2014 and valid for travel from 01 April 2014 until 31 March 2015. All seven night cruise depart from Denarau Marina and prices start from only AUD$1560 per person twin share, normally $2900. For families a separate Stateroom is available from just AUD$824 per room for up to two children 5-17yrs, when parents or guardians travel in Stateroom accommodation. Prices include meals, guided village, school and island tours, daily island stopovers, water activities, glass bottom boat excursions, snorkeling and snorkeling equipment, on board entertainment, Tropical island lovo feast & kava ceremony, child minding during meal times (under 5-10yrs), transfers at the end of your cruise and use of the ship's facilities including swimming pool, spa, pool bar, sun deck, mini-gym, sauna, cocktail bar, day spa and library. For the more than likely ultimate Australasia Golfing Holiday then look no further than our fantastic 7 and 10 day Heli-Golf Cruises onboard the beautiful "Island Passage"
Imagine, after a scrumptious breakfast on the aft Terrace, the helicopters land onto the ship and fly you off to the first tee of some of NZ's best courses. Green fees, carts, heli transfers, all onboard gourmet meals plus some afternoon sport fishing are all included. The heli-golf season operates in NZ's Bay of Islands during February and March and we have just limited space left in 2014. So if you want to have the experience of a lifetime please do contact us now to discuss the best heli-golf cruise for you or your golf group. And helping to keep your home team happy, non-golfers travel with you at half price. Not displaying properly? View online. As Christmas is nearly upon us we would like to take this opportunity to wish you, your family and friends a very happy Christmas and a safe and prosperous New Year! Note: with the exception of public holidays our office will be contactable by phone or email throughout the Christmas period. to make your spirit soar. There are some things in life which stand out as the ultimate adventure and a sailing expedition to explore Antarctica is one of them. Aqua-Firma, a UK-based specialist in polar voyages, has turned up the adventure element by providing this extraordinary 25-day voyage. 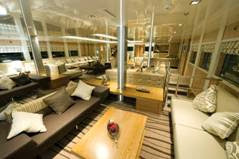 Journey on board a 72ft steel ocean-going yacht across the Southern Ocean with just 11 passengers and an expert crew. With no previous sailing experience required, (but a keen sense of adventure a prerequisite!) you have the opportunity to help set sail, steer and navigate under the guidance of experienced professionals. The objective is to explore the best of Antarctica, sailing along its mountainous coastline, mooring amid glaciers, and observing fabulous wildlife at close quarters. Two support landing craft and a polar guide means small groups can indulge in their own interests: sit quietly amongst the penguin colonies, visit research stations, hike ashore or silently cruise amid towering icebergs. As published in Cruise Weekly today. SeaDream Yacht Club (SYC) [www.seadream.com] knows exactly what they’re about. The company launched with two identical vessels just a couple of weeks before the calamitous 9/11 event and founder, Norwegian-born entrepreneur Atle Brynestad, thought he was doomed. But against all predictions, not only did SYC survive, it flourished. I’ve had my eye on these ships (whoops, ‘yachts’) for years and when their ground-breaking Asian itineraries were announced, I pounced. It was a bit of a risk for the regular Mediterranean and Caribbean-operating line, which had come under increasing (gentle) pressure from their growing legion of repeat guests to find new playgrounds to explore. Long time SYC Club Director, now Business Development Director, Asia, Thailand-based Richard Jones, was behind the push and with his extensive knowledge of the region, oversaw the 13 new itinerates that include major ports such as Yangon, Singapore, Hong Kong, Phuket, Langkawi, Bali, Bangkok and Cairns. After this exploratory season, SYC will return to Asia for the 2015-16 southern summer, but will only travel as far south as Bali. Constantly lauded by the cruise industry’s independent arbiter, the Berlitz Guide, SYC has consistency ranked at or near the top of the tables for ‘Boutique Ships’ category (50 – 250 passengers) against some pretty stiff competition. Chatting to some of the repeat cruisers, many of whom count their days aboard in the hundreds, it keeps coming back to service. Being treated like royalty with your every need predicted, without being fawned over or stifled. Our sommelier, Frank, a dashing and lively Hungarian of some ten years standing with SYC, would address us cheerfully with ‘How ya going mayte?” then proceed to elaborate on the salubrious wine list for this evening’s fine dining menu. 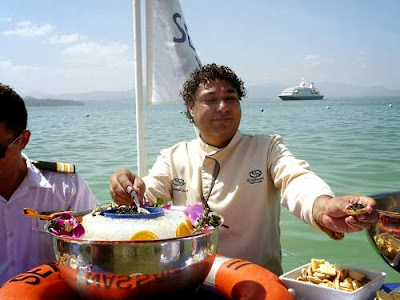 Another of the things that topped many repeat cruisers’ favourite things, was the all-inclusive beverages. Super quality wines, aperitifs and spirits are there for the asking. Okay, if you want Dom Pérignon, there’s a surcharge but the included drinks would satisfy most discerning tastes and many a late night was had at the Top of the Yacht Bar in entertaining company. SYC might sound like a retirement plan for well-heeled and sozzled seniors, but my experience did not support that myth. Most passengers were middle-aged or older couples, some with tight families in tow enjoying some true luxury time together. Active types can utilise the water sport ‘toy box’ with jetskis, snorkelling, kayaks or hobbycats and when aboard, there’s a golf simulator to keep you swinging, although the a/c needs a tweek to keep it comfortable. To find fault with this well-oiled offering is to appear churlish, but if pressed I would say the bathrooms are a bit tight (especially if you’ve been enjoying the cuisine) and more simple, included shore excursions would be nice, such as a city walk led by one of the crew or staff. The shore-ex on my itinerary were add-ons ranging from Shwedegon Pagoda ($49) to Bagan by air ($795). 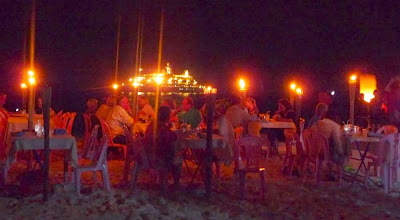 The only included tour was a tender visit to the Sea Gypsy village. Voyages are typically 7-days, with some 10 to 14 also on offer. Brochure fares are around $1000pp/day but substantial discounts can be had for early bookings. Cruise Express on 1300 766 537. 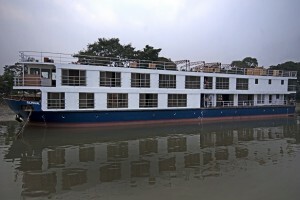 The latest addition to our fleet, ABN Rajmahal, was launched in Calcutta last week. The 22-cabin vessel has been specially designed with extra-shallow draught, triple engines and low air draught, for our pioneering City of Light cruises between Patna and Varanasi. These innovative 7-night cruises will operate in August and September 2014, the only months river conditions allow. 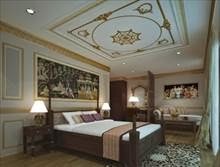 During the winter months ABN Rajmahal will be taking over our current programme of cruises on the Hugli and the Ganges, with her maiden commercial voyage scheduled for 15 February 2014, preceded by fam cruises for invited overseas tour operators and for journalists. Assam in October is a joy, with good weather, lush scenery, clear views and easy cruising. A perfect combination with Darjeeling, Sikkim or Bhutan therefore. Since Kaziranga and other parks are not reliably open at this time, the ideal solution is one of our Frontier Lands cruises, AD1 or AD5, between Guwahati and Dhubri. These feature tea gardens, a Maharajah’s palace, archaeological sites, temples and silk weaving, and the joining point at Cooch Behar can be reached in a little over two hours by train from New Jalpaiguri. To offer maximum flexibility to tour operators, we are currently proposing these cruises for group departures only, on operators’ own choice of dates. We are delighted that Lonely Planet India’s Travel Awards have placed our Diphlu River Lodge at Kaziranga as India’s second best wildlife resort, behind Oberoi’s Vanya Vilas and ahead of the Taj Mahua Kothi. Meanwhile CNN International has placed Assam Bengal Navigation as one of the World’s Top Ten Adventure Cruise Operators. Our Hugli and Ganges cruises feature one-way rail travel between Calcutta and Farakka at the beginning or end of the cruise. So we are delighted to advise that under the latest timetable this service operates on the Shatabdi Express, with duration reduced from an earlier 6-plus hours to just 4 hours 15 minutes. Moreover the same train provides a fast and convenient link between Farakka and New Jalpaiguri Junction, the station for Darjeeling and Sikkim, thus opening up new possibilities of combining a cruise with the Himalayas. Lindblad Expeditions-National Geographic has been named the Best Expedition Cruise Line in the Cruise Passenger Readers’ Choice Awards – voted by the cruisers themselves. This is the second year in a row it has been awarded this accolade, formerly under Orion Expedition Cruises. This small ship expedition company, in alliance with the National Geographic Society, voyages to all seven continents, and provides guests what is arguably the most extraordinary travel experience a person can have. With the assistance of its renowned expedition team, Lindblad Expeditions-National Geographic allows guests to explore by Zodiac, kayak or on foot, venture to remote beaches and hidden coves, and get close to nature, wildlife and different cultures. 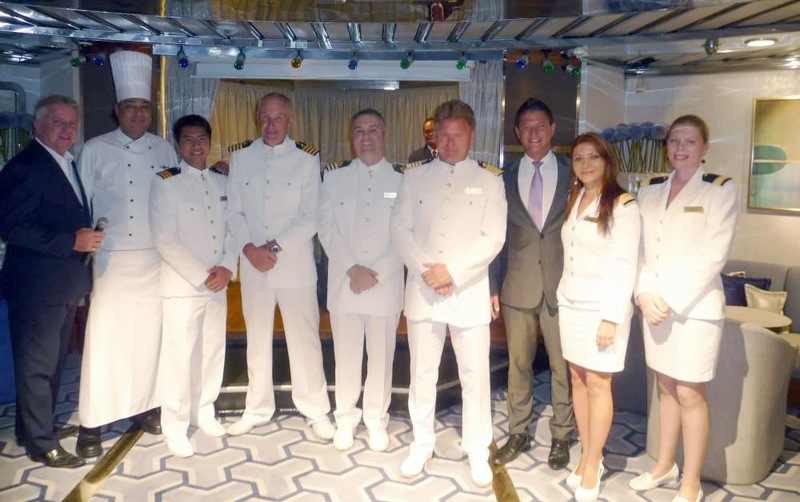 The Cruise Passenger Readers’ Choice Awards have been in operation for nine years and is one of the most coveted awards in the industry. Lindblad Expeditions announced the acquisition of Orion Expedition Cruises this year. The inaugural voyages of the National Geographic Orion will take place in March 2014, and will offer Orion guests past and present access to expeditions around the globe, and on the line’s fleet of ships and seasonal charters. 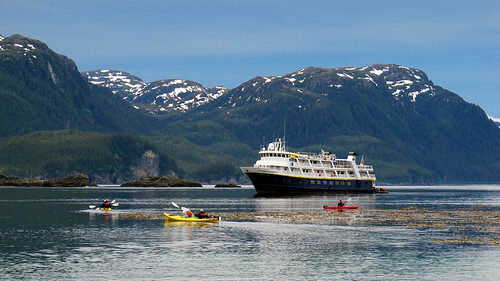 The acquisition will increase passenger capacity for Lindblad Expeditions by 18 per cent. For more information on Lindblad Expeditions visit www.orionexpeditions.com. 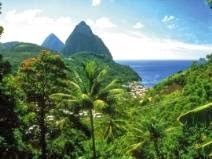 Picture-book islands of the Lesser Antilles, dreamlike sandy beaches and a gentle pace of life are on offer on a new 7 night round trip Sea Cloud II sailing from 31 March to 07 April 2014. * There is only a limited allotment available for these categories. 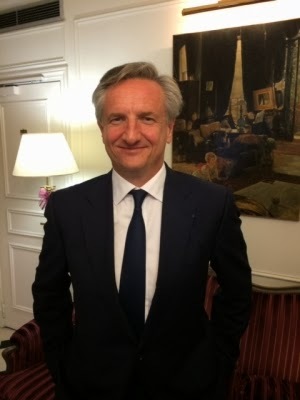 With 2013 revenue up 25% compared to last year, it has been another successful year for Compagnie du Ponant, ceo Jean-Emmanuel Sauvée, told Seatrade Insider during a one-to-one interview in Paris this week. Celebrating its 25th anniversary this year, the company has had an interesting and eventful journey, remarked Sauvée - one of two co-founders of the French luxury line which he and Philippe Videau launched in Nantes in 1988, ‘without a franc in our pockets’. 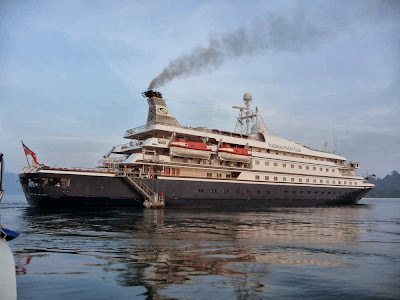 With a good business plan and long-term vision, the young sea captains managed to secure financing for the first vessel, the sleek, three-masted 64-passenger sailing ship Le Ponant, which launched in 1991, and is still in the fleet. by guests was gratefully received. SeaDream II passengers visit 'Sea Gypsie' village on Nyang Wee. room and bar ashore for a spectacular dinner under the stars. covers, while guests sent lanterns into the sky. 11 December, 2013: Bentours, Australias specialist in travel to Scandinavia, is offering travellers to Norway the chance to bring a friend for free on its Hurtigruten Norwegian Coastal Voyage as well as its Northbound & Southbound Voyages if packages are booked by December 31, 2013. On the Hurtigruten Norwegian Coastal Voyage and Northbound & Southbound Voyages travellers can invite their plus one to explore Norways impressive rugged coastline, medieval towns and remote Arctic communities. The full 12 day Hurtigruten Norwegian Coastal Voyage gives travellers the best opportunity to experience the entire Norwegian coast. Travellers can also opt for the six day Southbound Voyage from Kirkenes to Bergen starting from AUD $1,268 per package. This special 2 for 1 offer is valid for selected departures from January to March and includes twin share cabin accommodation and meals as per itinerary. These voyages offer the ideal way to discover the beauty of Scandinavia and the Arctic. Bentours special 2 for 1 itinerary highlights include; sailing through the incredible Lofoten Islands to discover unique fishing villages; exploring Trondheim, a medieval city with a colourful history and handsome community architecture; and sailing through the famous Trollfjord with its narrow entrance and steep-sided mountains either side. Travellers can also choose an optional Saltraumen Safari to witness the churning whirlpools of the worlds strongest tidal current and if the conditions are favourable, passengers may be able to witness the incredible phenomenon of the Northern Lights, predicted to be the best in a decade over the coming European winter according to NASA scientists. Other optional onshore excursions available include: the Svartisen Glacier, The North Cape, the Romantic Road of the Lofoten Islands, and a midnight concert in the incredible Artic Cathedral. Book now to secure places by contacting your local travel agent or Bentours at www.bentours.com.au, 1800 221 712 or enquiry@bentours.com.au. SeaDream II anchored off the glorious Similan Islands, Thailand. 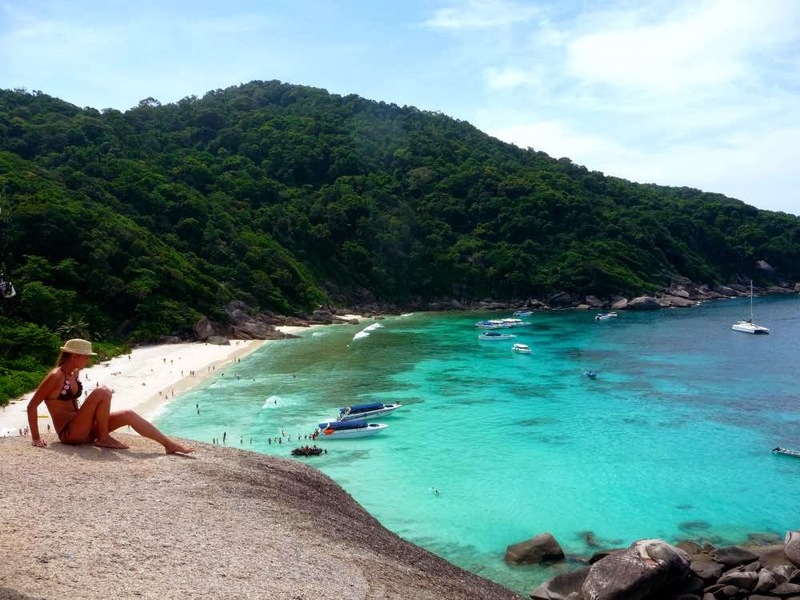 The famous view from Sail Rock overlooking the popular beach. After less than two years as president of the Americas for Silversea Cruises, Ellen Bettridge is departing, effective Dec. 16. Taking over as gm in the Fort Lauderdale office is Kristian Anderson, whom she brought on board as vp sales. Bettridge announced "we can actually own this [expedition cruising] market," in an interview with Travel Weekly recently. Champagne and caviar in the surf. A SeaDream institution. Prawns and crab claws galore supplement BBQ meats, salads and liquid refreshments. Zodiacs ashore. SeaDream II at anchor and Cape Panwa on the horizon. @SeaDreamYC - For the next week, ExpeditionCruising.com editor, Roderick Eime, goes soft aboard the top-rated luxury boutique vessel, SeaDream II sailing from Phuket to Yangon. Stay tuned for updates. Sarina Bratton, who took up the position of Australasian chairman of Compagnie du Ponant last month, has lost no time in appointing key staff. Pandaw invites guests who have booked a stay at Angkor with us to a breathtaking evening at Phare Ponleu Selpak Circus in Angkor. We have discovered and fell in love with this circus during our Mekong Unexplored cruise, when we visited the original school and performance in Battambang. 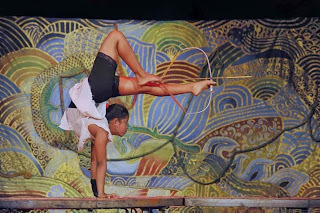 Phare Cambodian Circus features a daily theatrical circus performance with international standard. Modern Cambodian tales are embodied by a new generation of talented artists. During the hour-long shows, the Phare performers share their emotions and excitement, blowing the audience away with their integrity and power. Phare artists are graduates from Phare Ponleu Selpak's (www.phareps.org) vocational training center in Battambang. This school offers unique opportunities to 1,400 students every day in formal education and artistic training. Coming from vulnerable households many of the students have gained international recognition through their art, theatre, music and circus skills. Pandaw guests will enjoy a VIP service with transfer to/from hotel, behind-the-scenes tour and seating in the first two front rows. This evening event will be included for each two night Siem Reap/Angkor pre or post package as of arrival January 7th, 2014. Cruiseco, the leading provider of cruising options in Australia and New Zealand, is pleased to announce that work has commenced on its second custom-built ship, the Cruiseco Explorer. The Cruiseco Explorer's inaugural sailing is scheduled to depart on 21 October 2014. Steve Lloyd, Chief Executive Officer at Cruiseco, says the new ship is a significant milestone for the cruising company. "A year on from launching the Cruiseco Adventurer in Vietnam, I'm delighted that the construction of our second ship is already well underway. 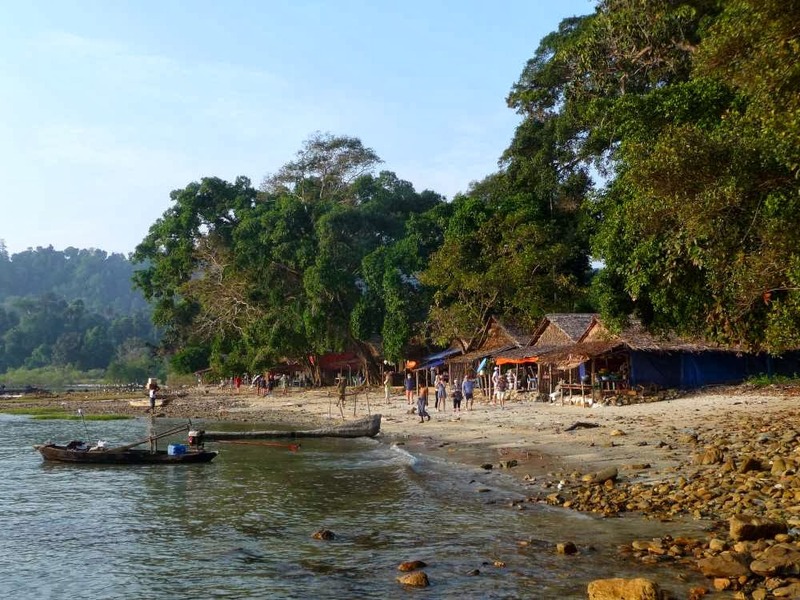 The Cruiseco Explorer will operate in Myanmar on the waters of the Irrawaddy, Upper Irrawaddy and Chindwin Rivers," says Lloyd. "Following 13 years operating in the cruise industry, we continue to draw on our extensive experience to ensure that the Cruiseco Explorer's design will appeal to our customers." The 58 metre long, two decked ship will accommodate 56 guests. 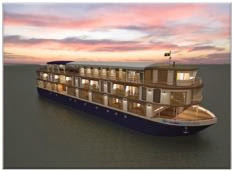 The ship boasts 28 luxurious cabins, all with polished timber floors, ensuite facilities, and either floor to ceiling French windows, or full private balconies to provide guests with an unobstructed view of Myanmar. The ship's 28 luxurious cabins offer double accommodation, which can be converted to twins in the Main and Upper Deck Cabins. The Main Deck features 10 Cabins with French balconies, while the Upper Deck features 14 Cabins with exterior balconies. There are also two Suites at the bow of the ship and two Deluxe Suites, located aft, which have an exterior balcony and a Jacuzzi. Traditional in style, the ship will have an outside sun deck, a lounge and bar & restaurant. All of the public areas will be able to accommodate all passengers onboard at any time. The restaurant will be located on the Main Deck where the menu which will feature a fusion of traditional Burmese and western cuisine. "The Cruiseco Explorer is about more than travelling in style. Maintaining our policy from the Cruiseco Adventurer, which operates along the Mekong, we continue to be committed to supporting local communities by employing from the local areas. Our crew on the Cruiseco Explorer is extremely knowledgeable on local culture and history," says Lloyd. "It's our aim to be able to contribute to the country's infrastructure and share the local people's lives with our passengers in an equal and open way. We will continue to only employ staff members who come from the local region as we work to offer shared experiences between our passengers and the Burmese people." 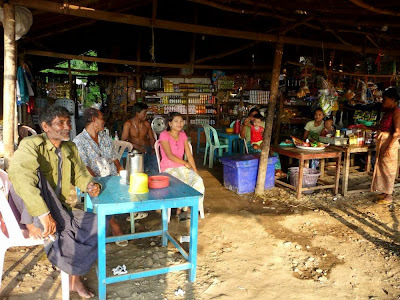 Guests may choose to start their adventure in Prome or Mandalay and travel the Irrawaddy stopping at exotic ports along the way. Prices are per person, based on twin share, starting from $4,899 for Main Deck bookings on the seven night cruise. Discounted prices are only valid for bookings made until 31 December 2013. Terms and conditions apply. The Cruiseco Explorer will sail for seven nights as part of an 11 night luxury holiday. The holiday includes: return economy airfare flying from Australia with Thai Airways; two nights at the Chatrium Hotel in Yangon; two nights at the Mandalay Hill Resort in Mandalay; a seven night luxury river cruise; all onboard meals including wine with lunch and dinner; local beers; soft drinks; breakfast daily; lunch and dinner as specified in the itinerary; extensive sightseeing and transfers; gratuities, port charges and taxes. 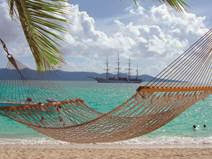 All customers booking with Cruiseco receives Qantas Frequent Flyer Points. Visit www.cruising.com.au or call (02) 9492 8520 for further information and to find details of your local Cruiseco agent. APT has announced it is offering an additional Luxury Small Ship cruise departure aboard its M/Y Variety Voyager for 2014. The 12-day Italy & Dalmatian Delights itinerary has been added following a complete sell-out on all other dates aboard the newly-built 36-suite private yacht. Sailing from Rome to Dubrovnik via Sorrento, Capri, Sicily, Monopoli, Kotor, Hvar and Split, guests who book early will enjoy savings of up to $2,000 per couple. With the saving, the trip is priced from $6,995 per person, twin share. All sightseeing and shore excursions are included in the price and range from exploring ancient Pompeii to visiting the Island of Capri, sailing along the Amalfi Coast, experiencing the Lipari Islands' active volcanoes, and discovering Croatia's coastal gems. Travelling with a maximum of 70 passengers, guests will enjoy state-of-the-art onboard amenities such as a library, luxury mini-spa and large spacious suites. Also included are 32 meals, house wines, beers and soft drinks with all lunches and dinners, all tipping and gratuities and the services of an APT Cruise Manager. The trip can also be extended with APT offering the option of either a city stay or pre-cruise accommodation in Rome and post-cruise accommodation in Dubrovnik. For further information call APT on 1300 278 278, visit www.aptouring.com.au or see your local business development manager. component in a tailored land tour. You will see the best of river life with stops in the bustling monastery city of Pakokku and the delightful pottery village of Yandabo with its Pandaw School. With one or two nights on the brand new twenty state room Kalaw and Kindat Pandaws. Each state room is 200 square feet with all the mod cons including wifi. These ships have drafts of just 80cm and can go year round in the lowest of water conditions. 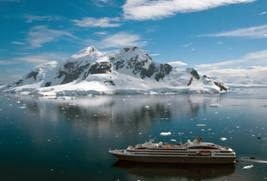 Leading French cruise line and 5-star Expedition specialist Compagnie Du Ponant has launched its new brochure of 5-star Expeditions in Antarctica for the 2014/2015 Season. The Antarctic brochure highlights Compagnie Du Ponant's expertise in the polar parts of the world where it has been offering a range of exceptional cruises since 1999 as once in a lifetime destinations. Le Soléal launched in June 2013. Passengers gain privileged access to exceptional wonders of nature, thanks to its small capacity and latest generation technology designed specifically for polar cruises. An exclusive experience awaits travellers in the company of renowned South Pole experts aboard the luxurious French-flag yacht. Compagnie Du Ponant sets themselves apart from other expeditions through their five star signature concept allowing travellers to explore these extreme regions in luxury and comfort worthy of the world's best hotels. Compagnie Du Ponant introduces three unusual itineraries embracing some exceptional ports of call (including nine Ushuaia-Ushuaia departures). A haven for truly unique flora and fauna, these strictly protected sites can only be reached by small ships, which in this region are limited to 200 maximum on board guests. Aboard Le Soléal, cruises are punctuated by fascinating cultural, historic and geological encounters as a select group of speakers and guides share their passion for the region. At sea, every Zodiac® outing provides a different spectacle, be it coming face to face with vast colonies of penguins or Weddell seals, elephant seals, albatrosses or a group of humpback whales. A full immersion of the Great White Antarctic Peninsula, discovering tabular icebergs and the drifting pack ice where fur seals and colonies of Gentoo, Adelie and Chinstrap penguins live. Surrounded by the incredible white expanses of the Antarctic Peninsula whilst exploring the grassy moorlands of the Falkland Islands. Highlights of three regions: Falklands and the black-browed albatross, South Georgia with its Emperor Penguins and the northern side of the Antarctic Peninsula with its majestic icebergs. As the world's number one Polar cruise linke sailing to Antarctica and the Arctic, Compagnie du Ponant is renowned as the speciialit in these speicla parts of the world. Designed and engineered for polar cruises, Le Boréal and L'Austral and Le Soléal offer fascinating and unusual experiences in Antarctica and beyond the Arctic circle. Compagnie du Ponant offers the promise of rare and priviledged moments, a chance to experience the excitement of an adventure in five-star comfort. With 132 stylish staterooms and suites, Le Boréal and L'Austral and Le Soléal provide a unique environment, a combination of elegance, supreme comfort and wellbeing. Travel the World has been providing discerning travellers with unique luxury experiences for over 30 years. From premium cruise holidays with the world's best cruise lines to enriching historic and cultural tours and luxurious resorts, Travel the World offers an exciting range of travel options beyond the predictable. The company has established new benchmarks of excellence in travel-related services to the Australian travel industry and consumers since it was founded in 1977. For cruise information for Compagnie du Ponant, please contact Travel the World on 1300 950 622. After cruising the stunning, world renowned Kimberley coastline in the north of Western Australia since the 90’s, Kimberley Quest who were formerly known as Pearl Sea Coastal Cruises have officially announced and unveiled a new brand identity! On any Kimberley Quest cruise guests will see and become transfixed by the sight of the magnificent White-bellied Sea Eagle. The new logo unveiled by Kimberley Quest emulates the spirit of flight and freedom that this magnificent bird enjoys. Kimberley Quest launched their new look featuring their positioning statement, 'Beyond Adventure' stating that this is their family's pledge to deliver every guest with a Kimberley experience that goes beyond imagination and a level of comfort, friendship and service that goes beyond expectation. As a family, Kimberley Quest have been exploring the Kimberley for more than 18 years. Whilst the strength of the business and their operations remains the sametheir new brand is future focussed. They have taken inspiration from how far Kimberley Quest has come and where it is going. The release of the new brand also features a new website complete with stunning imagery, live availability searches and online booking functionality – the first Kimberley cruise company to offer live booking functionality such as this. 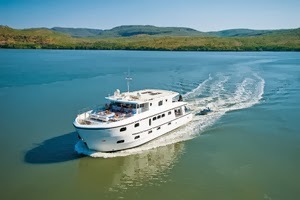 Kimberley Quest continues to provide luxury, expedition style Kimberley cruises that are beyond adventure and beyond their guests expectations! Australian travellers can now discover the greater Mekong Delta’s rich cultures, colourful wildlife and ancient history on an eight-day Asian Trails river cruise between Vietnam and Cambodia. Travelling aboard the Toum Tiou II, the voyage starts in Ho Chi Minh City and continues past the famous fruit orchards and vast rice fields of My Tho, the floating markets in Cai Be, and Vinh Long’s stilt house, which perch precariously on the river banks. 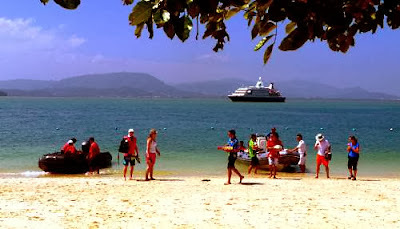 Crossing into Cambodia the cruise explores Phnom Penh, home of the Royal Palace, then on to Koh Chen and Kampong Chhnang before reaching Siem Reap, home of Angkor’s majestic temples. Toum Tiou II is uniquely designed to explore the Mekong, with a steel hull and low draft enabling it to travel the entire journey between Saigon harbour and Siem Reap pier*, along the way visiting remote villages and hugging the river line in order to give passengers unmatched views. The vessel offers 14 double cabins, each featuring a large panoramic window, private lounge area, entertainment system, air conditioning and en suite bathroom. Prices for Asian Trails’ eight-day river cruise are available from the company’s Australian representative, Sydney-based Tourism Portfolio (www.tourismportfolio.com.au). And here I was thinking that six months “holiday” would be the most marvellous thing I’ve ever done. I can’t tell you just how much I’ve been itching to get back in to the industry I love. This morning, the attached press release is being issued and I will be interviewed by Alan Jones on Radio 2GB at 0810 Monday morning. Hopefully the word will start to spread about my task to internationalise the business and product of Compagnie du Ponant. After departing Orion, I did not want a job and was happy to settle into a stress free life (apart from golf) and sit on a few boards. Having been approached by some overseas companies to do strategic consulting with them, I was particularly interested in Ponant. With three brand new, very appealing five star (sister) expedition ships (a fourth under construction) and a wonderful three masted sailing vessel, the appeal was too great for me to resist! Some of the things that proved to be challenges with the Orion business – inability to offer new destinations to enthused past guests and unavailability of additional newer ships, have been solved by Ponant. When I look at the world's expedition fleet and see that the average age of ships is 25 years, it makes Ponant stand out as not only the most modern fleet in the world, but a fleet complying with the latest safety standards and benchmarking environmental technology. 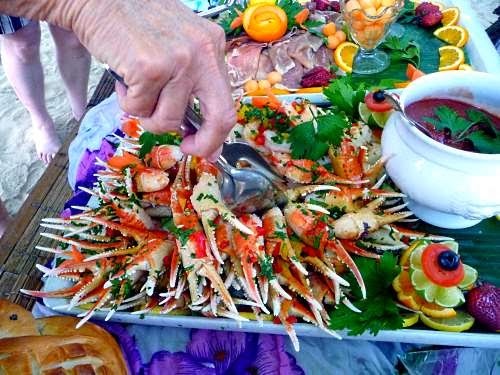 Combine this with French chefs, French cuisine and complimentary French wines and I feel that this is a winning recipe for outstanding expedition cruise experiences. I am really excited to work with the company in the internationalisation of the business and the product and look forward to sharing this experience with you in some spectacular destinations. 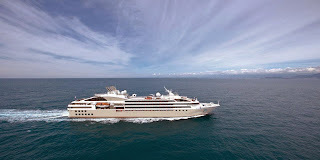 Visit www.ponant.com to see what I mean. Here's to more exciting cruising together. Travel the World, Australia’s leading provider of luxury travel experiences, and Compagnie du Ponant, the French cruise line and five star expedition specialist, announced today the expansion of operations in Australia. In anticipation of the arrival of a new yacht in Australian waters in winter 2015, the owners of Compagnie du Ponant have appointed one of Australia’s most prominent and most highly regarded cruise professionals, Sarina Bratton, to assist them in their plans for growth. Travel the World remains Compagnie du Ponant’s preferred partner in its Australian operations and is delighted to be partnering with Sarina in building on the success of the Compagnie du Ponant brand. Travel the World will continue to service the trade both commercially and for reservations well into the future. With a long term agreement and partnership with Compagnie du Ponant, Travel the World looks forward to ensuring the trade business over the years ahead continues to grow. The six year partnership with Travel the World has seen Compagnie du Ponant’s business grow from an unknown cruise line to one of the best positioned and fastest growing cruise brands in the Australian market, and the partners remain firmly committed to growing the business into the future together. Says Michelle Taylor, General Manager, Sales & Marketing for Travel the World, “Travel the World is proud of the growth that we have achieved working in partnership with Compagnie du Ponant and is delighted with the news of a new yacht bound for Australian waters and the opportunities that it brings. We are excited to be working with Sarina Bratton and Compagnie du Ponant and continuing our partnership into the future. Our focus will be continuing to service our trade partners both commercially and for reservations into the future, ensuring that the trade are serviced to a high level and continue to grow their Ponant sales in 2014/ 2015 and the years ahead”. Travel the World has been providing discerning travellers with unique luxury experiences for over 30 years. From premium cruise holidays with the world’s best cruise lines to enriching historic and cultural tours and luxurious resorts, Travel the World offers an exciting range of travel options beyond the predictable. The company has established new benchmarks of excellence in travel- related services to the Australian travel industry and consumers since it was founded in 1977. French luxury cruise and five-star expedition operator, Compagnie du Ponant has signalled its intention to develop the Australian and Asian markets with the appointment of Australian luxury expedition cruise pioneer Sarina Bratton to head its local operations. 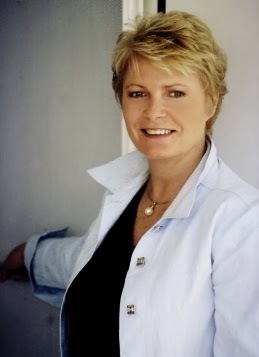 Considered Australia's "First Lady" of cruising, Mrs Bratton, who dominated luxury expedition cruising in the Asia Pacific region when she created market-leading five-star Orion Expedition Cruises a decade ago, has been named Compagnie du Ponant's Australasian chairman and special advisor to the company's Marseilles-headquartered executive team. She sold her remaining shares in Orion earlier this year. In her new role, Mrs Bratton will spearhead Compagnie du Ponant's international development, with a specific focus on the Asia Pacific region, as both key destinations and source markets. The company will announce details of a Sydney-based regional management and sales operation in coming weeks. 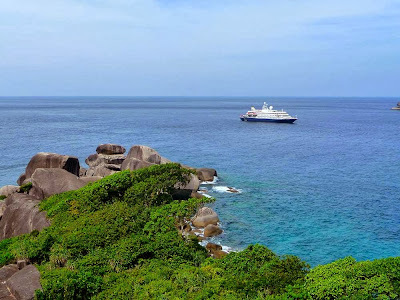 Future plans for the company include the positioning of a new expedition ship in and around Australia from late 2015 for a program of itineraries featuring Australia, Asia and the Pacific islands. The company will also heavily promote accessibility to other unique global expedition destinations with its existing expedition sister ships L'Austral, Le Boreal and Le Soleal and its spectacular sailing ship Le Ponant. Jean-Emmanuel Sauvee, founder and Chief Executive Officer of Compagnie du Ponant, said today he was "extremely delighted and excited" to have Sarina Bratton join the Compagnie du Ponant executive team. "There are very few entrepreneurs and founders of cruise companies in this world, so Sarina and I are kindred spirits," he said. "We see the Asia Pacific region being an important strategic development for our business and recognise the pioneering itineraries, destinations and source markets developed by Sarina and her former team over the past ten years, as guiding pathways for our ongoing development." Mrs Bratton said Compagnie du Ponant had the assets and balance sheet to become the global leader in small and five-star expedition ship operations. "It is a real honour and a challenge to be a part of this unique business, both to help with the internationalisation of Compagnie du Ponant and also to bring a unique luxury product into a market I know so well," she said. "Australia has never seen ships like these," Mrs Bratton added. "The majority of the world's small expedition ships are old, having been built in the late 1980's and 1990's. But Compagnie du Ponant has a fleet of four, brand-new, 'state of the art' ships and a touch of that unique French avant-garde style". Each ship carries only 240 guests, and has the most advanced technical and environmental systems on any cruise line in the world. Each ship resembles a private luxury yacht flying the French flag and specifically designed to navigate in extreme conditions. This provides Compagnie du Ponant with a unique advantage. Respecting the environment is a priority for Compagnie du Ponant, a member of the Charte Bleue d'Armateurs de France. From the design of the ships, which earned the international Cleanship label, to the outings ashore, every care has been taken to reduce the impact on the environment: from "green" equipment and eco-friendly hull coatings to raising awareness among passengers and crew, and respecting local people. Compagnie du Ponant is owned by one of the largest private equity funds in Europe, Bridgepoint, thus providing stable financial underpinning for the company's rapid growth.